Neurology has always been fascinating to Dr. Ehrlich. 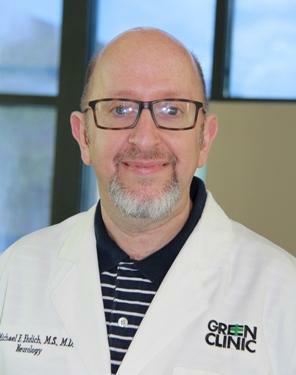 He has been practicing at Green Clinic since 1996 and treats all aspects of neurological diseases in both adults and children. These include seizure disorders, neuropathy, and sleep disturbances. As part of his practice, Dr. Ehrlich routinely performs EMGs, nerve conduction studies, and EEGs. These tests are used to measure and record the electrical activity of the brain and muscles and how well the nerves can send those electrical signals. The results of these tests are useful in the diagnosis of neurological disorders such as epilepsy, ALS, and dementia. Dr. Ehrlich is currently seeing new patients.